The 16 teams in the East Zone of the 2019 AFC Champions League return to action in the coming days as the group stage approaches its midway point. Groups E and G are first up when the eight sides take to the field on Tuesday, before the remaining teams in Groups F and H follow suit a day later. Defending champions Kashima Antlers will travel to Korea Republic for the first time since the 2018 semi-finals when they take on Gyeongnam FC on Tuesday. Kashima have four points from two games after drawing 2-2 with China's Shandong Luneng four weeks ago while the hosts are also unbeaten, having drawn both their matches in what is their maiden appearance. 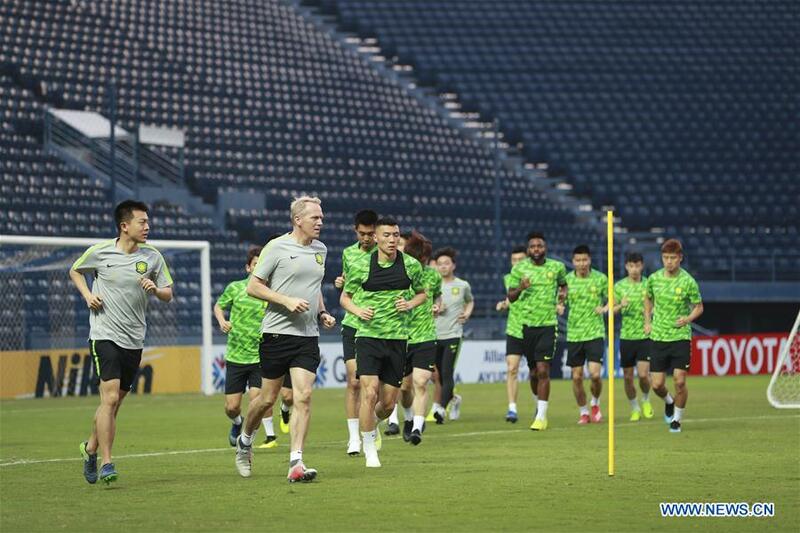 Elsewhere Shandong will welcome Malaysia's Johor Darul Ta'zim to Jinan, with the Chinese Super League side looking to turn draws into wins after playing out a pair of 2-2 draws previously. Johor picked up their first ever AFC Champions League point on Matchday Two in a 1-1 draw with Gyeongnam that will give them confidence ahead of the trip to China. A clash of the titans will take place in Japan on Tuesday when former champions Urawa Red Diamonds and Jeonbuk Hyundai Motors go head-to-head. Both teams have won the AFC Champions League twice, while in the present campaign table-toppers Urawa sit a point ahead of Jeonbuk as the sides prepare to meet two times over the space of 15 days. Buriram United's win over Jeonbuk last month took them to within a point of Urawa and they will next welcome Beijing FC to northeastern Thailand. The Chinese side, meanwhile, have picked up just one point from two games after their scoreless draw with Urawa four weeks ago, and they will be looking for the win that would see them maintain realistic qualification hopes. On Wednesday, Daegu FC will look to cement their lead at the top of Group F when they travel to Japan to take on Sanfrecce Hiroshima. Daegu remain the only team in the East Zone with a 100 percent record after their Matchday Two win over Guangzhou Evergrande made it two wins from two, while Sanfrecce defeated Melbourne Victory 2-1 for their first points of the campaign. Guangzhou will look to return to winning ways when the two-time champions host Melbourne in southeastern China on the same day. The visitors will be desperate for a positive result having lost their opening two matches but they have never won away from home in the competition and visit one of the toughest grounds in Asia to claim all three points. Table-toppers Ulsan Hyundai will host Japan's Kawasaki Frontale on Wednesday as the sides renew acquaintances having also twice met in 2018, when the K League 1 team picked up four points from the two games. Ulsan's 1-0 win over Shanghai SIPG last month moved them a point clear at the Group H summit, while Kawasaki defeated Sydney FC 1-0 for their first points of the campaign. Finally, Sydney will aim for their first victory of the 2019 group stage when they take on a Shanghai side looking to return to winning ways after defeat in Korea Republic. The Australian side have picked up just one point from two games and anything but a win could see them cut adrift at the bottom of the standings, while Shanghai will be seeking to improve their away form in the competition.